The Maldives flag has a longer history than many other flags in Asia. The modern flag is derived from a flag that is so old that its date of adoption is unclear, and that flag's influence can clearly be seen in the modern design. The modern design has changed significantly from the original flag of the Maldives, but the similarity is strong enough to ensure that the modern flag can serve as a potent symbol of the nation's history in addition to being a symbol of the modern nation and its people. 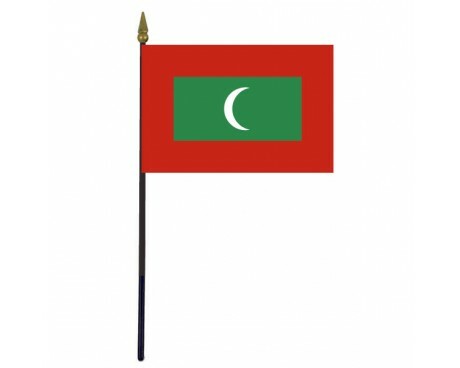 The flag of the Republic of Maldives is red with a large green rectangle in the center bearing a vertical white crescent; the closed side of the crescent is on the hoist side of the flag. It was adopted on July 25, 1965. The red rectangle represents the boldness of the nation's heroes, and their willingness to sacrifice their every drop of blood in defense of their country. The green rectangle in the center symbolizes peace and prosperity. 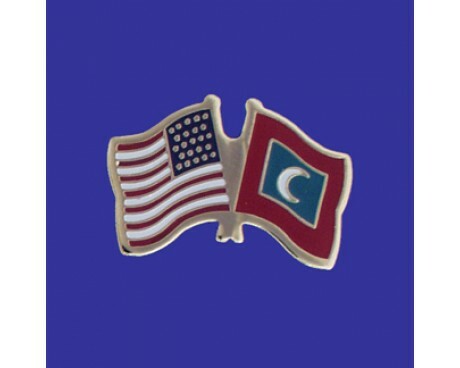 The white crescent moon symbolizes a state of unified Islamic faith. Religions in Maldives: Islam is the only official religion of The Maldives. The practice of all other religions is forbidden and such actions are liable to prosecution under the law of the country. 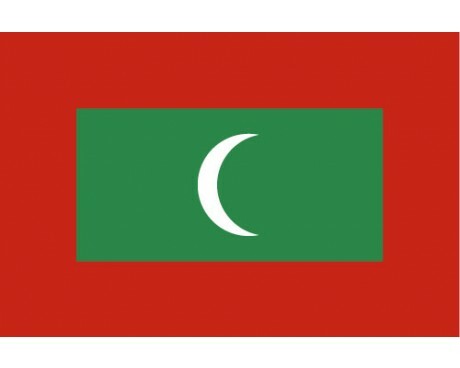 The Maldives flag features a red field with a green rectangle in the center. A white crescent moon that faces the fly is in the center of that rectangle. 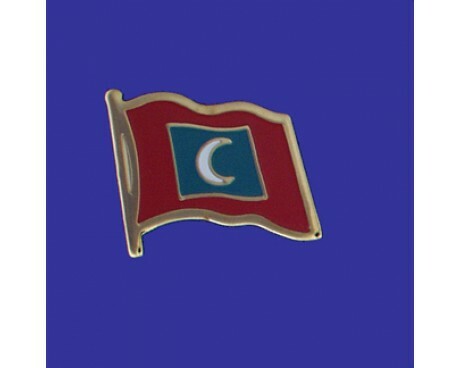 The crescent is a symbol of Islam, which is the most common religion in the Maldives. The green rectangle represents peace and prosperity, but the color green is often associated with Islam, so it also reinforces the symbolism of the crescent. The red field represents the blood that the people of the Maldives are willing to shed in order to defend their nation from those who would do it harm. The earliest flag of the Maldives had a simple design. It had a solid red field without any distinguishing emblems or complex decorations. It eventually gained a stripe of alternating black and white sections along the hoist. The flag gained a white crescent that faced the hoist in 1926. A state flag of the Maldives that included a green rectangle behind the crescent came into use at some point between 1926 and 1932. The crescent was changed to face the fly instead of the hoist in 1953, the same year that the Maldives became a republic. The flag lasted for much longer than the republic, and it served as the basis for the modern flag. The modern flag was created by removing the stripe of black and white from the hoist. It came into use after the Maldives became fully independent from all foreign powers in 1965, and it has been used without any changes since that time.